Today the marketing sector is driven digitally. 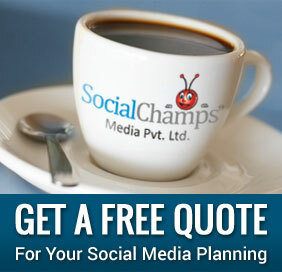 Social media is the initial and result-oriented platform to make business successful. Social media appearance of the company is its primary way to reach to the target audience. Social media has transformed marketing business drastically. But you have to be very alert and creative to keep yourself on higher level in the competition of social marketers because of its constantly changing nature. You have to keep your social media activities up to date since trends change so fast that if you are not aware of what is trending today, you cannot stand out in the crowd. What is trending today might go out of fashion tomorrow. So take your sleeves up to bring out all the creativity. That said result-oriented social media marketing strategy requires having some key elements if you really want to scale and make the most of it. Here are some tips, to implement “Must have” social media tricks. 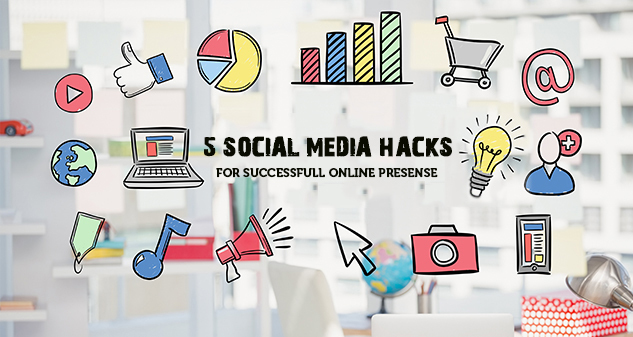 Though there are many things that you can execute for successful social media presence, we have listed out the latest, 5 tips that you cannot avoid. The first social media platform to bring in craze of stories was Snapchat. Social media stories is a unique way to share photos, videos and audios that is visible for the time duration set by user and lasts only for 24 hours. People can directly send replies to stories this ensures interaction. You can share something that is happening at the moment to increase the reach. Stories have been widely accepted. Now, Instagram, Facebook, Whatsapp have also enabled this feature. Now you can post stories on all these platforms to target people on different using different channels. Stories appear at the top of the social media feed or wall. People tend to watch stories instead of scrolling through the news feed. Going live from your home or office through social media using your laptop or even smart phone has become easier. It is another very popular trend of social media. This feature allows you to make live videos in which you can demonstrate how to use your product? Or anything else you want to show like informal meeting or contests, events etc. In these live videos you can see who is watching your video. People can send live likes and comments so that you can interact with them immediately. When you end the live session, it gets automatically save in the form of video. People who have missed it can watch it later. Chatbots allows you to be very responsive with your visitors. It is actually a robot that acts as a customer representative. You can add chatbots to your social media page or account which will chat with the visitors, if they have any queries about your product or service. It will answer all the questions asked by the customers. It is useful in lot of other things. They can provide customers content with visuals and links. They can reduce some efforts of sales team by doing small tasks such as scheduling time of delivery of the products. They can be used to send entreating things to the customers such as games, fun facts, videos etc. When you plan your marketing strategy don’t forget to schedule the time lags to share posts on social media. There is no such number that how much post you should do in a day. You can always go for more than usual but not less as people start expecting the posts from you. If you suddenly share less posts it might make your customers disinterested in your page. So be active on social media. Based on nature of business define the frequency and try to be consistent but remember posts should be based on what is trending. Today’s smart consumers don’t buy any product without reading the reviews and seeing ratings. Even before buying a small thing they first check out what people has to say about its quality. Whether it is worth the price or not? Keep your social media feedback section updated by asking your previous customers for feedback. The feedback should be realistic as the natural comments appeal better. Even if there are any negative reviews, respond them quickly and try to solve their problem it would surely reduce the bad impact. Implementing these strategies will surely help you to be in the list of active social media marketers but these are not the only things you should focus on. To make your page or account look good use high-quality images and well-written as well as grammatically correct content. Include call to action button to your page also ask your website visitors and blog readers to like you on Facebook and get connected on other social medias by providing links. Social Media has been a great way to heighten the presence of any business in the digital industry. Targeting the customer and tracking their values may prove important factor also. I enjoyed reading the articles. Usually I read various articles from Digital Entrepreneurs.